Over here I actually keep up with my calendar that’s on my laptop and I constantly update it. This week is the first time that I’m actually able to see my departure from Prague (December 18) and my return to the US. I just finished my midterms and so I’ve been somewhat distracted from the fact that I don’t have a lot of time left. As I approach the end of my time here, I’ve been reflecting back on my first few weeks here. 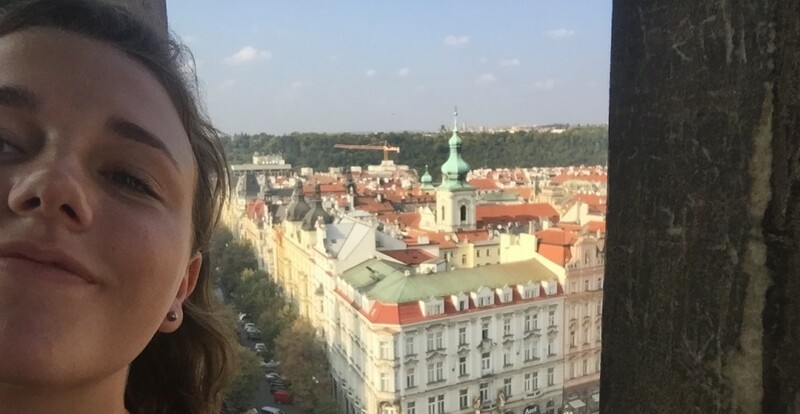 It took me a long time to adjust to life here in Prague. The time difference, the language barriers, being away from my family, everything. I didn’t expect to have a hard time transitioning but it took me about 3 weeks to finally be comfortable here. But those first 3 weeks were rough. I was constantly homesick and I had a hard time dealing with mornings here because everyone was asleep in America and I sort of felt cut off. I thought about going home a lot, but I knew that wasn’t rational. However, looking back I’m so happy I came here and stayed. My time abroad isn’t even over but I’m already such a different person than I was before I got here. There are some days when I ache for my family and friends back home, but they’ll always be there. It helps to remind myself that this world is huge and there’s a chance that once I leave Prague, I’ll never come back again, so I need to appreciate this beautiful city while I’m here. So if you’re questioning if you should go abroad because you are nervous or afraid of being away, I say just go for it. You really won’t regret it. Take advantage of these amazing opportunities while you can. I leave for Italy tomorrow so I will post pictures and tell you all how it goes! We land in Rome and then on Saturday we go to Florence for the day then we go to Venice for a few days and then we fly back to Prague Monday.. So excited! So I spent my halloweekend in Prague. My friend who is studying in Mannheim, Germany came to visit me here. In America I’m used to halloween being a big celebration where people dress up all weekend. On Friday I was a pirate, on Saturday I was a thief, and on Sunday I was a vampire. However, I found out Friday that people don’t really dress up here. My friends and I went to this bar called Po pos all dressed up and we were the only ones in costume. Honestly, I was still happy we dressed up. I love halloween. Anyways, sine it was my friend’s first time in Prague, on Saturday I showed her around. We found these giant baby statues that are soooo weird but they were fascinating so we got some good pictures with them. I’m not sure why they were there or what they represented, but I’ll look it up eventually. 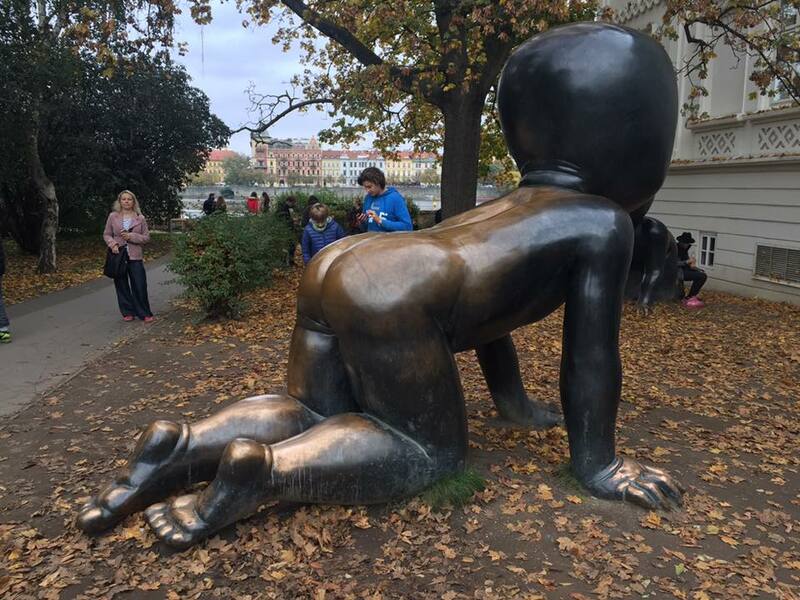 They have them in two different locations in Prague. 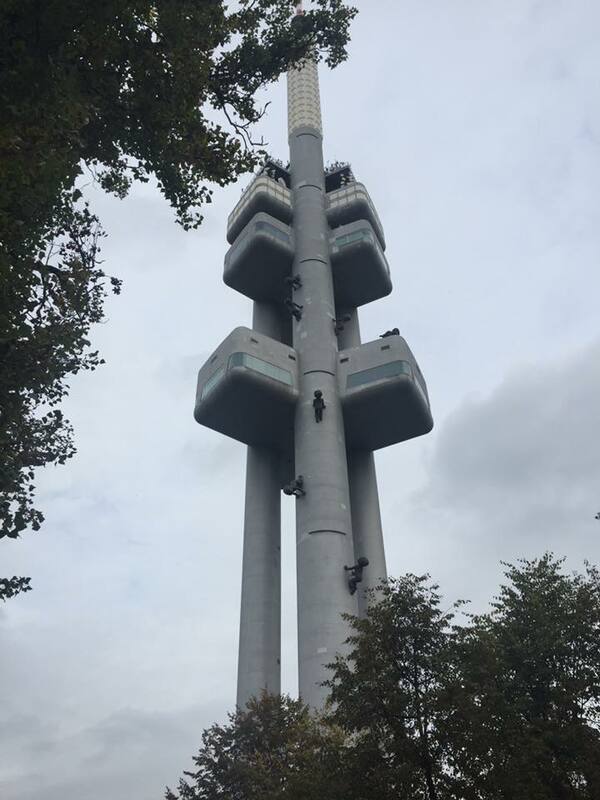 In Prague there’s this giant T.V tower and for some reason the architect added these giant babies to the T.V pole so it looks like they’re climbing up it! It’s so strange but I love it. I’ll post some pictures of them. Anyways, we also figured out that the bridge next to the Charles Bridge is the best place to actually see the Charles Bridge and get some good pictures of it. The actual Charles Bridge is extremely crowded and also pick-pocket central. One of my abroad fears was getting pick pocketed, and thus far I have not been, knock on wood. But yes if you happen to be in Prague and want a really good view of the Charles, definitely try the bridge next to it rather than the actual bridge. 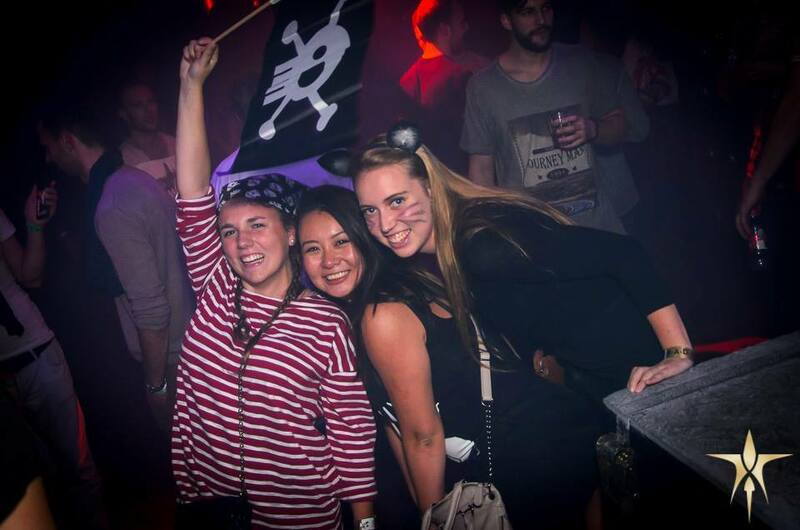 Overall, I had a really great halloween weekend, it was definitely interesting to see what it’s like to experience a different culture’s version of halloween, which doesn’t really include dressing up. Oh well, you live and you learn.